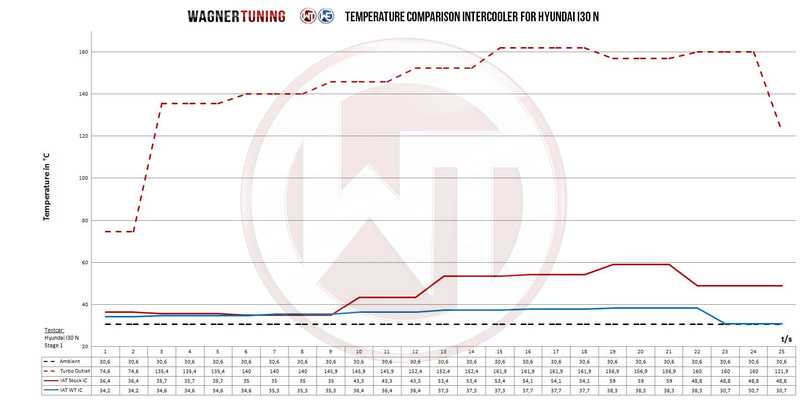 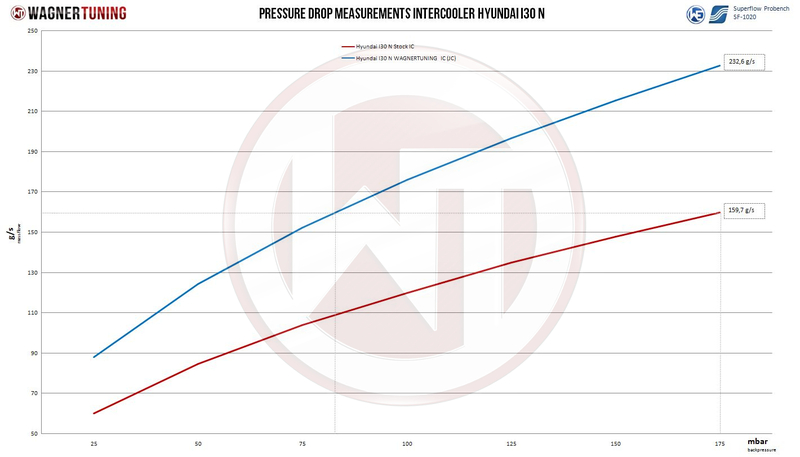 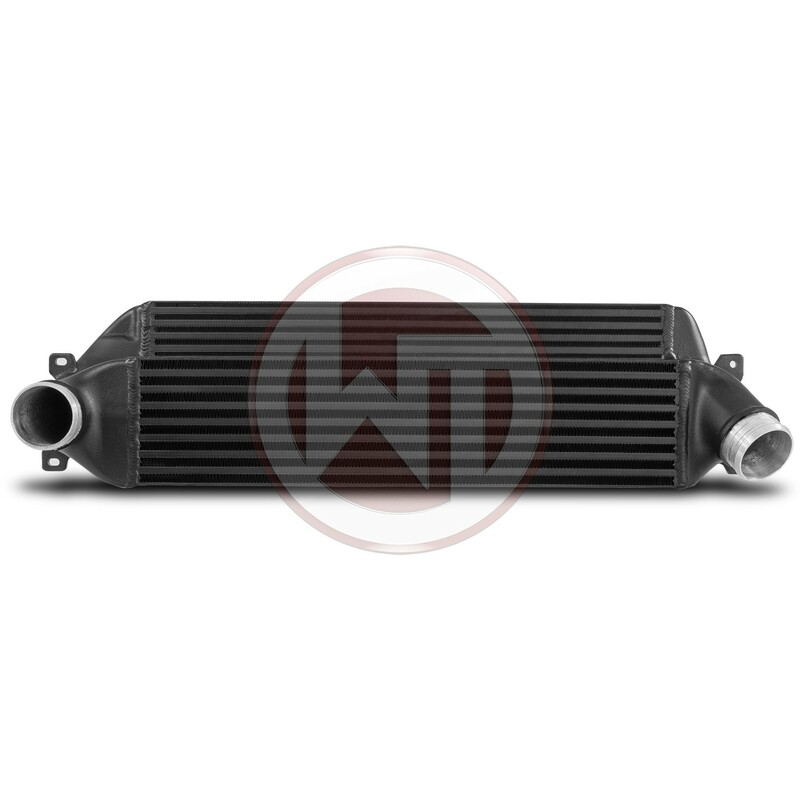 The WAGNERTUNING high-performance intercooler has got a new performance core (bar & plate) with the dimensions 580 mm x 150 mm x 135,4 mm + 580 mm x 62 mm x 70 mm (stepped core: 14,3 liters) / 22,83Inch x 5,91Inch x 5,33Inch + 22,83Inch x 2,44Inch x 2,76Inch (stepped core: 872,64Inch³) , which was developed especially for the requirements of the Hyundai I30N. 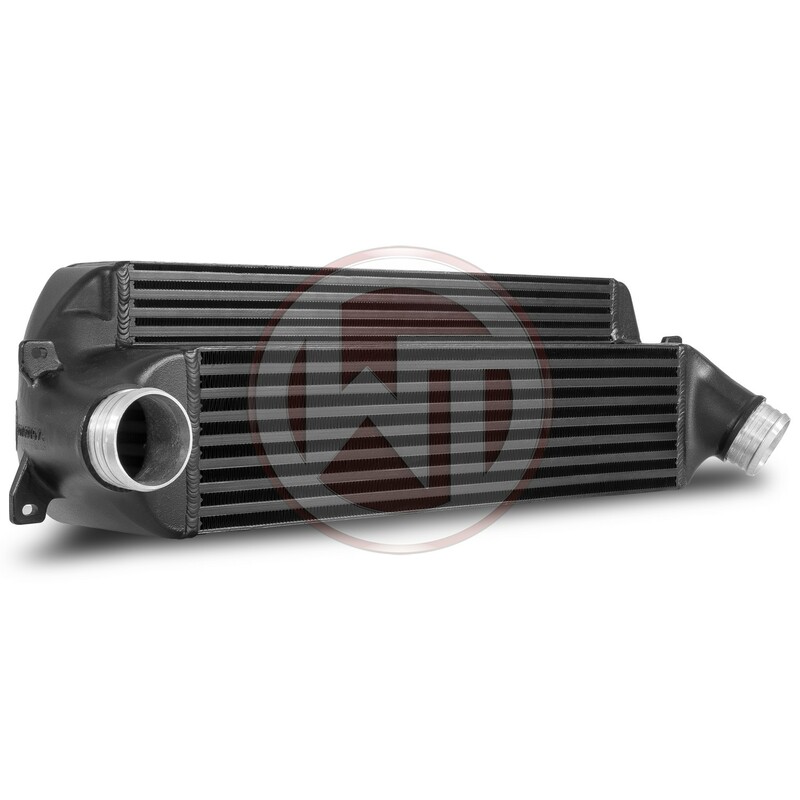 This high-performance core offers an 44,3 % larger frontal surface and 101,4 % more core volume compared to the stock intercooler. 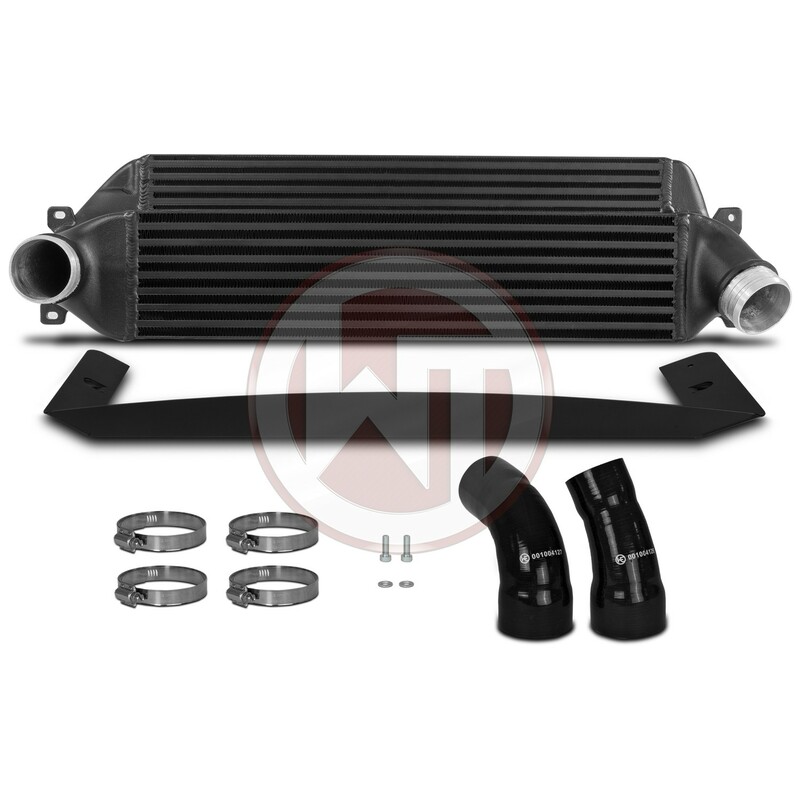 The WAGNERTUNING high-performance intercooler has got a new performance core (bar & plate) with the dimensions 580Â mmÂ xÂ 150Â mmÂ xÂ 135,4Â mmÂ + 580Â mmÂ xÂ 62Â mmÂ xÂ 70Â mm (stepped core: 14,3Â liters) / 22,83Inch x 5,91Inch x 5,33Inch + 22,83Inch x 2,44Inch x 2,76Inch (stepped core: 872,64InchÂ³) , which was developed especially for the requirements of the Hyundai I30N. 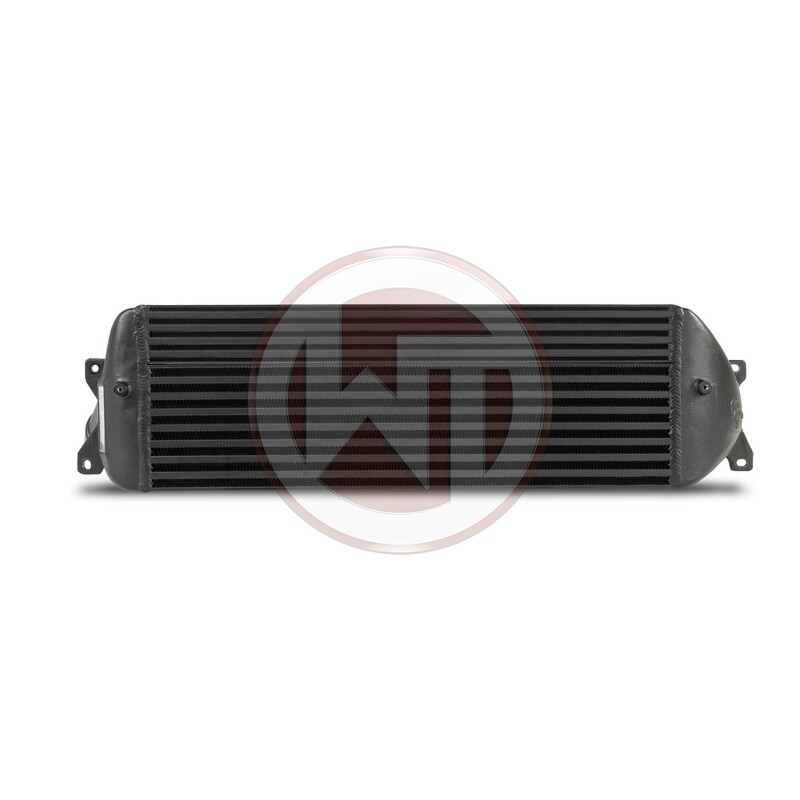 This high-performance core offers an 44,3Â % larger frontal surface and 101,4Â % more core volume compared to the stock intercooler.